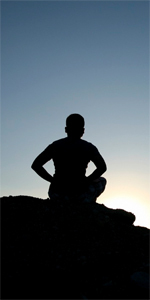 A: Meditation is an excellent way to enhance emotional intelligence skills, especially self-awareness. There are many effective methods. Meditation was developed within the framework of religions; every major world religion has its meditation methods. I surveyed meditation paths in my first book, The Meditative Mind, recently released in a digital version. But now these meditation practices have been taken out of the religious context and their benefits made available to anyone, regardless of religious beliefs. Those benefits include heightened concentration, relaxation, improved health and resilience under stress and an overall sense of well-being. Many organizations are now offering their people instruction in meditation. Chade-Meng Tan’s recent book Search Inside Yourself details the meditation course developed for folks at Google. Mirabai Bush, one of the founders of the Google course, has an audio program that instructs in this approach to meditation. Many medical centers have long offered their patients instruction in mindfulness-based stress reduction, based on the work of my old friend Jon Kabat-Zinn. His instructional tapes are an excellent way to begin, if you can’t find a meditation center near you. There are numerous kinds of meditation, and not everyone finds a given meditation to their liking—I suggest you shop around a bit, then settle on a method that suits you. My audio program Relax gives instruction in a half dozen different methods for that reason. But once you settle on a method you like, try to practice it daily. That will give you the most benefit. Think of it as a mental fitness workout.